A stroke is when there is no blood supply to a part of the brain and the brain cannot get blood and oxygen. If blood flow is stopped for longer than a few seconds, brain cells can die, causing permanent damage. 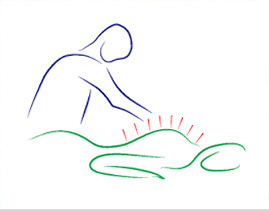 Stroke paralysis happens after someone has had a stroke.In Ayurveda, stroke paralysis is considered as Pakshavadha (paralysis of one side of the body). At AyurVAID Kalmatia, an optimized treatment plan is formed by our senior physicians considering the stage of the paralysis, and for how long the patient has had this condition as well as their strength. If the paralysis is of a recent onset, then medication such as DhanwantramKashayam etc. is prescribed along with some mild treatments like Abhyanga (Application of medicated oil on the body), or Kaya Seka (pouring of warm medicated oil on the body). 3. Swedana (Fomentation – causing sweating) with steam bath etc. 4. Virechana (Purgation) with a medicinal powder or castor oil.